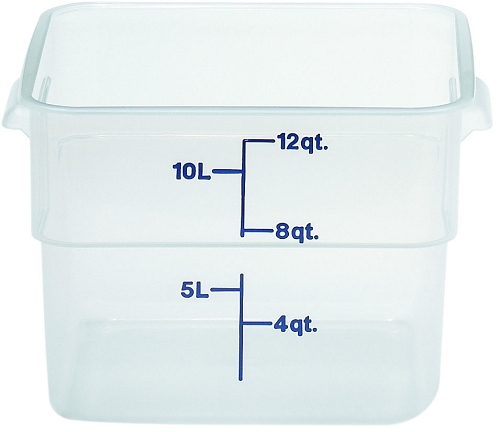 Use to maximize storage of ingredients in the kitchen, cooler, freezer or pantry. Easy-to-read graduations are printed on the outside for inventory at a glance. Color-coded snap-tight polyethylene covers feature thumb tabs for easy removal. Dimensions : 11-1/4" x 12-1/4" x 8-3/4"